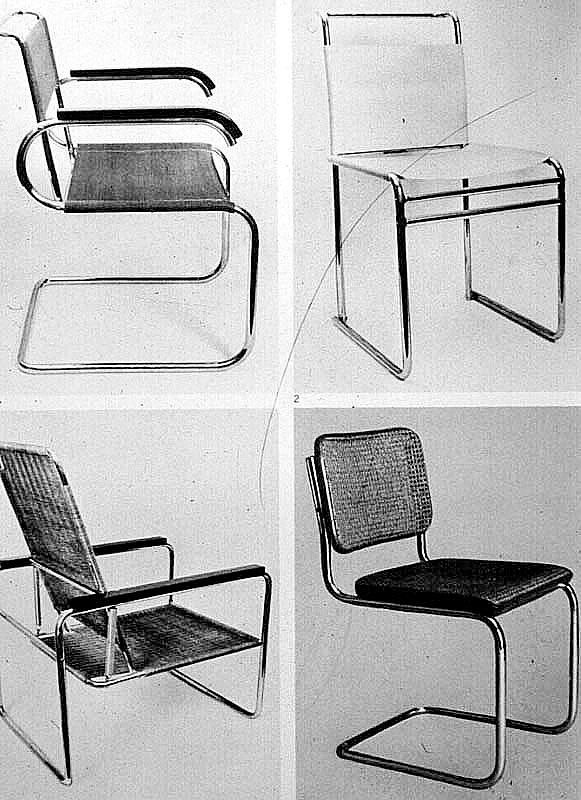 Jean Prouve: the Antony Chair. Jean Prouve’: The Antony Chair. Jean Prouve’ was one of the most important French -and international- designers and architects of the twentieth century. He started his career as metal worker in Nancy and craftsmanship always had a preeminent role in all his projects. In 1931 he opened his workshop -the Ateliers Jean Prouve’– collaborating with some of the most important designers and architects of the time as Charlotte Perriand, Pierre Jeanneret Eugène Beaudoin and Marcel Lods. 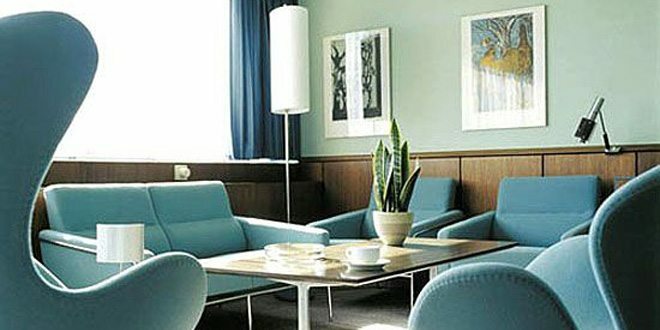 Prouve’ designed several furniture and buildings but his approach always differed from the predominant Bauhaus style; he rejected the steel furniture and their tube technique. He preferred sheet metal for his works. Its durability and shape -and his knowledge of the material- allowed him to bent, compressed and weld it. Prouve’ strongly believed that artists should collaborate with craftsmen and use the most recent techniques to develop their projects; he always considered himself as a constructor and engineer more than a designer. His goal was to achieve efficient designs built with efficient and durable materials, never concerning only about the final look itself. Following these principles Prouve’ designed the Antony Chair in 1954. As all his chairs, also the Antony has to be observed from different angles; back, front, underneath and above. This is the only way to appreciate the rich engineering details of its construction. 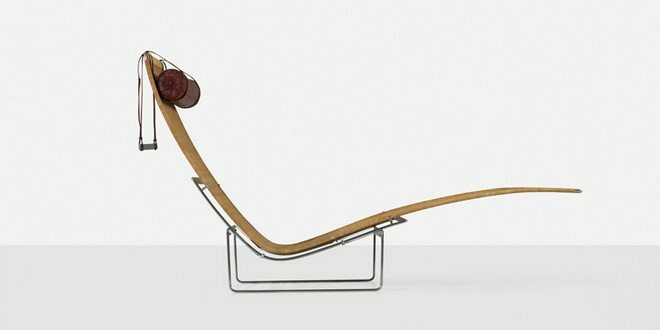 Even though the materials used by Prouve’ for the Antony chair -steel and plywood- look odd at first, a more careful look reveals their function. The plywood provides a comfortable seat and the steel the strongest support possible. The combination of those materials results in a peculiar design -a Prouve’ trademark- that highly differ from the popular chromed finishes of that time. The Antony steel part, instead, is painted black with visible marks of the welding and manufacturing. To accommodate the thick crossbar, the flat steel braces supporting the plywood shell have to be wide at the angle of seat and back. At either end they taper towards the points where they attach to the shell giving them a sculptural shape referring to Alexander Calder’s furniture, of whom Prouve’ was a friend and admirer. The Antony chair -made for the Cité Universitaire of Antony near Paris- was one of the last furniture designed by Prouve’. In 1953, in fact, the Aluminlum Francais bought the Ateliers Jean Prouve’ but, unhappy with the new organisation, Prouve’ quit as designer ending his career as well. As I wrote before, Prouve’ believed in a handmade design and approach to projects. To conveive furniture on the drawing board was simply unthinkable to him. 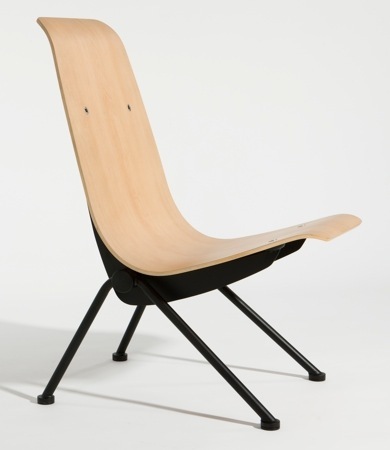 Recently the Swiss manufacturer Vitra and the fashion brand G-Star collaborated for the Prouve’ RAW collection. Check the Mid Century Modern Furniture page to see more iconic pieces! 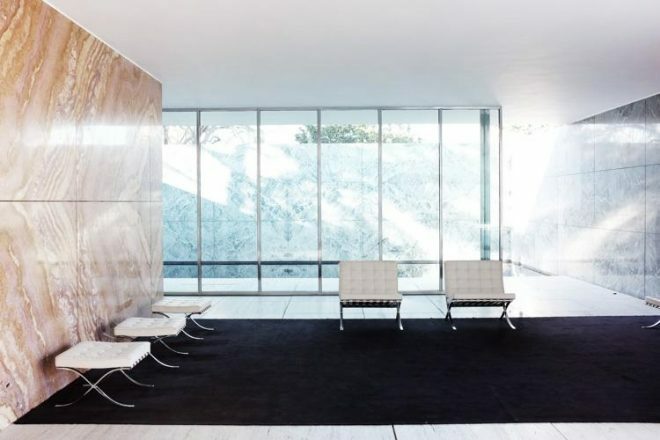 LET ME KNOW IN THE COMMENTS WHAT DO YOU THINK ABOUT PROUVE’S DESIGNS AND THE ANTONY CHAIR! Check the MID-CENTURY ICONS page to discover more iconic pieces. A Like below to show your appreciation for this post is more than welcome.